This page will be used as a place for announcements and recent events of interest. Here is an interesting article on Curling Safety passed on by Diane Armstrong. 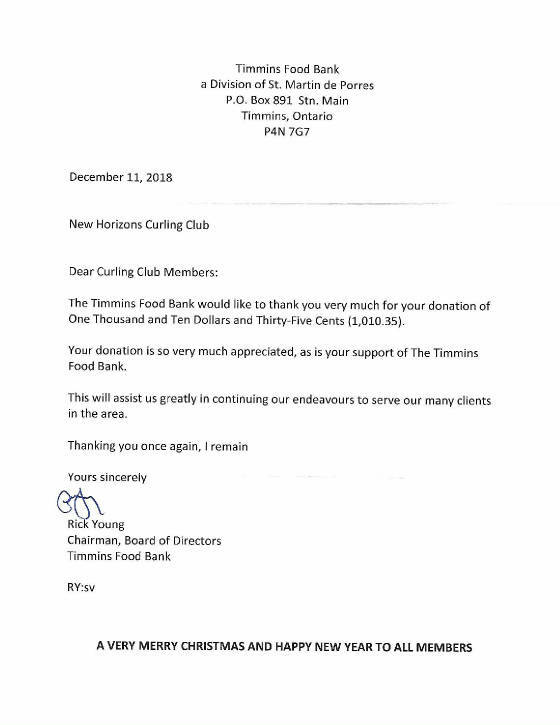 Congratulations and thanks to all that donated to the Timmins Food Bank during our Christmas Banquet. Timmins New Horizons raised $1000 for the the bank. Congratulations to Elmer Fisher Team from Iroquois Falls winning the 2018 Dusty Baker Bonspiel. 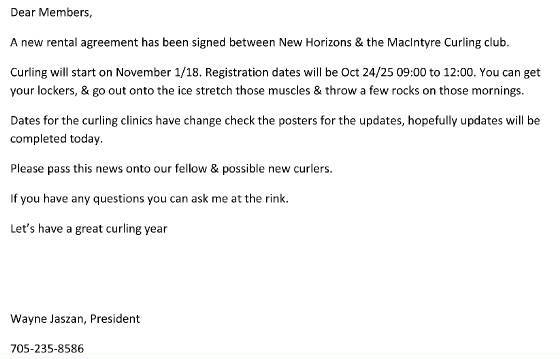 Thanks to all of the people who volunteered to make this bonspiel a great success.